My husband and I were planning our first ever trip to Mexico for a fun and relaxing “babymoon” vacation in Cancun. Our plan was to mainly stay in the resort area, but we did want to take a couple side trips and be a little spontaneous, so we thought the best plan was to rent a car in Mexico so we would have the flexibility and convenience of our own vehicle. We found what we thought was a great deal on Travelocity from a well-known US car rental company for just $3/day, what a steal! The car was so cheap that we sprang for the $11/day collision/theft insurance, just to be safe. Everything seemed like it was going great. 1. Mexican rental cars have a mandatory “liability insurance supplement” which covers damage you cause to third parties or their property. Most of the time, this insurance is twice as expensive as the actual fee to rent the car. Most of the time, discount travel websites don’t include this mandatory insurance fee in their advertised rates. The collision/theft insurance you can buy online DOES NOT COUNT. If you buy liability insurance in the US or Canada ahead of time from another company, the rental company probably WILL NOT HONOR IT. 2. 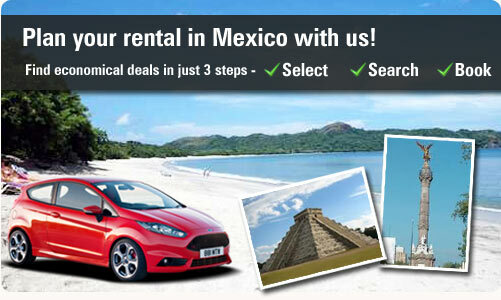 Companies you’ve rented from at home are not necessarily better than local Mexican rental companies. In fact, after researching retrospectively, the opposite appears to be true. Look online first and see what kind of experiences people have had with your favorite rental companies in Mexico before defaulting to them. 3. The best way to know exactly what you will be paying, and exactly what that includes, is to contact the car rental agency directly instead of going through a discount site. Even if a price on Expedia says “insurance included”, there’s not enough fine print for me to read and feel comfortable that it’s the insurance I actually need. Oh, and FYI, the $11/day collision/theft insurance we paid for was a waste of money, because our credit card would have given us up to $25,000 in collision damage waiver coverage for free.